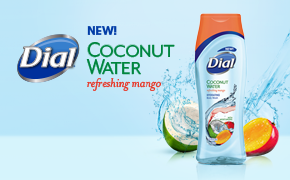 Half Past October: #GetNoticed with NEW Dial Coconut Water Refreshing Mango Body Wash! I saw this in Walmart yesterday and was wondering about it! Definitely going to have to pick some up next time we're there.